Baking. I don't really bake at all during the summer, so when the weather turns cooler it's such a pleasure to have a warm kitchen filled with delectable aromas. 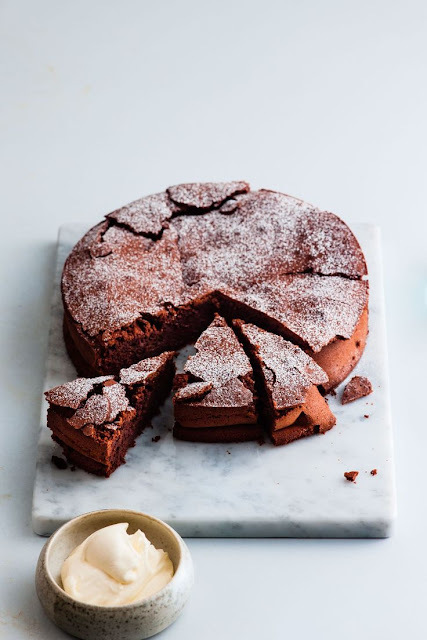 This Chocolate and Olive Oil Cake by Diana Henry sounds like the perfect way to greet the start of autumn.